Next tours: The summer 2015 one has gone. More dates will be announced soon. Bring: Good shoes and a sense of exploration. 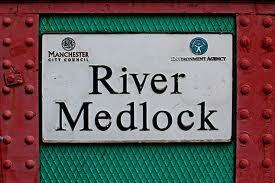 There are three visible rivers in city centre Manchester: the Irwell, the Irk and the Medlock. 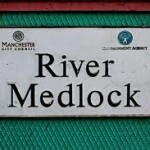 And it’s the Medlock that we’ll be investigating. The river that Manchester has almost forgotten rises near Oldham and flows westwards through Daisy Nook Country Park (as painted lucratively by L S Lowry), past Man City’s ground, and between Ancoats and Ardwick, towards the centre of town, disappearing into a subterranean chasm by the junction of the Mancunian Way and London Road near Piccadilly Station. The river remains underground – under the former UMIST buildings – until Princess Street, forced into a culvert in best Le Corbusier style when the modernist concrete towers of UMIST were created in the 1960s. At Princess Street the river reappears triumphantly. This part used to be navigable. At the back of India House was the entrance to a tunnel which was used for carrying coal to a wharf at Store Street by Piccadilly station and which is still visible. The river’s passage through the city centre is subtle and serpentine. 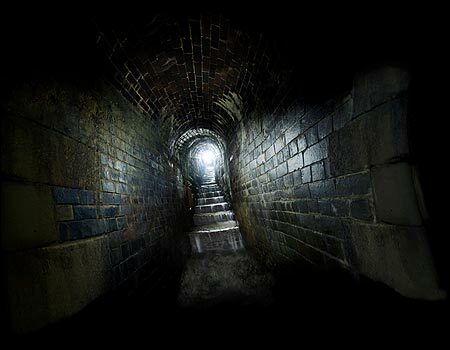 In its hey-day the river was used as an industrial sewer into which factory and mill owners poured their pollution. On its banks, which regularly flooded in the rains, were Manchester’s worst slums, particularly Little Ireland which lay west of Oxford Street around what is now Oxford Road station. It is near impossible to follow the route of this almost forgotten river, which makes our “In Search of the Medlock” walk, as we head beyond Little Ireland into Gaythorn, Knott Mill and Castlefield, en route to the river’s watery grave in the Irwell, all the more rewarding and challenging.